When it comes to survival, being prepared for unexpected events is a must, especially in the zombie apocalypse. Be ready for every possible scenario by adding the 2 Piece Chrome Spearhead Throwing Knives to your zombie slaying gear! Crafted entirely from 440 stainless steel, these sleek throwing knives come in a functional pair of double-edged blades that are designed for aerodynamic flight! The classic spear-shaped build distributes the weight for optimal effect while the grooves along the blade and handle provide an expert balance that life or death situations demand. Store these sleek throwing knives in the nylon pouch that comes included for a sturdy storage solution that is safe and convenient! 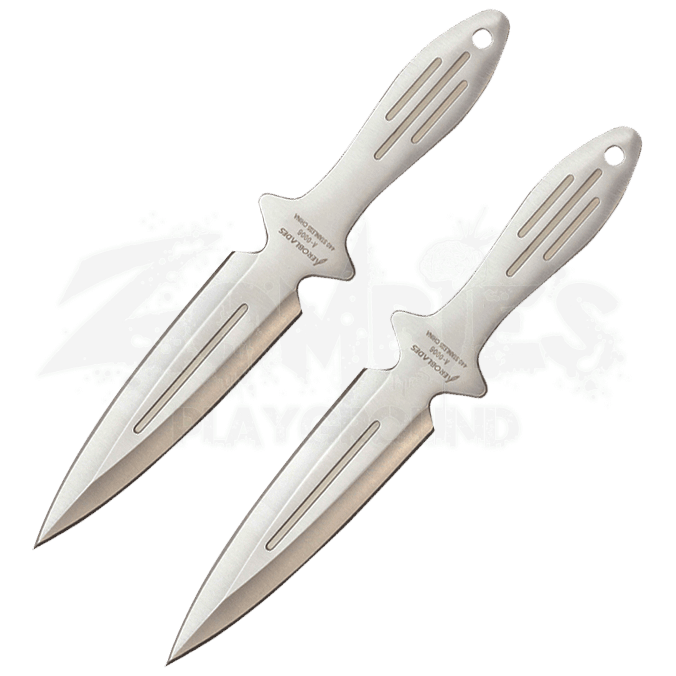 Practice your technique with the 2 Piece Chrome Spearhead Throwing Knives now, and you will be ready for the inevitable horde that lurks just around the corner!